I wasn't cheating! I was acting as liaison between you and that show. ... and Other Netflix-Cheating Excuses. As a Netflix Streamteam member I receive special perks for my participation. All opinions are my own. The above infographic clearly shows if you're a cheater cheater netflixing pumpkin eater, you're not alone. And really is a "lie by omission" really a lie, or merely a tiny oversight on your part to disclose you accidentally watched a show you promised to watch together? Since realistically the majority of Netflix-Cheaters can expect to eventually get caught, brushing up on a heartfelt apology before hand just makes good sense. As can be seen by Michael Bolton's video there are many ways in which to personalize your apology. I derived no pleasure from it, but as liaison it's my job. I'm a Netflix gigolo and currently looking into rehab options. It's not my fault, it was an accident. You can trust me ... honest. Did I? That's weird because I don't remember watching it? Are you sure? I DID NOT! PROVE IT! PROVE IT! PROVE IT! Your position as liaison as been rendered redundant, and your services in this regard are no longer needed. I heard you're a player. Well hello player player, I'm the coach and you're benched! I'm looking for a Netnogomous* relationship, and clearly this isn't it. An accident?! An accident is falling off your bike. Nobody trips and accidentally hits play on Netflix for an entire episode. Then you should be in a Streamationship** with the Devil not me! Just because you didn't tell me, doesn't mean I won't find out. I have spidey senses. Now you're just insulting my intelligence pretending you didn't do it. Who are you? Shaggy? What's next a personal rendition of "It Wasn't Me"? That's what you said last time, and the time before that. I grow bored with your lies. "Some people create their own storms and then get mad when it rains." and to clarify by some people I mean you. *Netnogamous: A monogamous streaming relationship. **Streamationship: A close relationship between two people based on and related to viewing streaming and watching Netflix together. Having said all that, if you're still intent on Netflix-Cheating the video below may be helpful since it's filled with hacks and tips for successfully Netflix-Cheating. 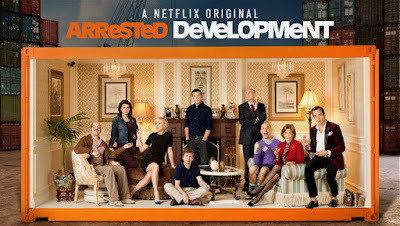 If you're going to Netflix-Cheat make sure it's with a show that's truly worthy. Close your eyes, and just for a minute imagine your netnogamous* partner gave you a 24 hour "hall pass" ... what one show above all others do you consider binge worthy enough to use that "hall pass" on? That one show passes the "hall pass" test and is truly worthy. Personally I'd use my "Hall Pass" on Sherlock or Spotless. Yep, just me Cathy thinking out loud about Netflix and "Hall Passes". Words Beginning With the Letter N Commonly Misused, Confused or Misspelled. I'm back trying to clarify and demystify more words that are commonly confused, misused or misspelled. This post has been brought to you by the Letter "N". Naught vs. Not vs. Knot: (usage) Naught means nothing or nonexistent. Not is used to express negation, denial or refusal. Knot refers to a nautical unit of speed, fastening something by tying two parts together, a tightening of something, or a circular hard section or lump of a tree that is visible in cut lumber. Nebulous: (meaning) Nebulous means "hazy, vague, indistinct or confused". Not clearly defined or easily understood. Necessitate vs. Necessity: (usage) Necessitate means to "require, compel, force or to make necessary or unavoidable". Necessary means "needed to achieve a certain effect or result". Nefarious: (meaning) Nefarious means to be extremely evil or wicked. Neighbour vs. Neighbor: (spelling) Neighbour is the British spelling, whereas Neighbor is the American spelling and refers to someone living nearby. Both spellings are correct. Neither vs. Either: (usage) Neither can mean "not one or the other" or "also or similarly not". For example: Neither movie appeals to Joan, and if she doesn't want to go to the movies neither do I. Either can mean "one or the other" or "likewise or also". For example: We can either stay in and watch TV or go out to the movies, but if you're not going out I won't either. Neophyte: (meaning) Neophyte refers to someone recently or "newly converted to a belief or religion", or a "novice or beginner". Nine, Ninth, Ninety, Ninetieth: (spelling) Notice that only when spelling ninth is the e dropped. Most tricky of all is the spelling of ninetieth. Nonfiction vs. Non-fiction vs. Non Fiction: (spelling, usage) Both nonfiction and non-fiction are correct. I referred this to an expert in the field and he explained it this way: "This question is exemplary of a broader question concerning the use of hyphens in compound words. My impression is that the use of hyphenated words greatly increased in the twentieth century as the jargon from very technical vocabularies entered common parlance: military-industrial, socio-economic, crypto-fascist etcetera. I notice that spellcheck regularly recommends the use of hyphens." So there you have it folks both options are correct and look for parlance to be in the upcoming Letter "P" Grow Your Vocab post. Nonplussed: (spelling, usage) Nonplussed means to be bewildered and unsure how to react, or at a loss as to how to react, or to think say or do in reaction to. 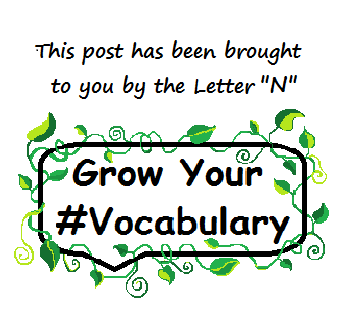 Noticeable: (spelling) Noticeable is spelt with an e.
If you haven't already (like that could ever happen) be sure to check out the Grow Your Vocab posts brought to you by other letters. Yep, just me Cathy thinking out loud about the letter "N". Special thanks to my brother for his expertise and insights on my Grow Your Vocab posts. Disclosure: I received no compensation for this post. The purpose of the post is merely to share with my readers information I think might be of interest to my readers. Grab Your Tiaras People! 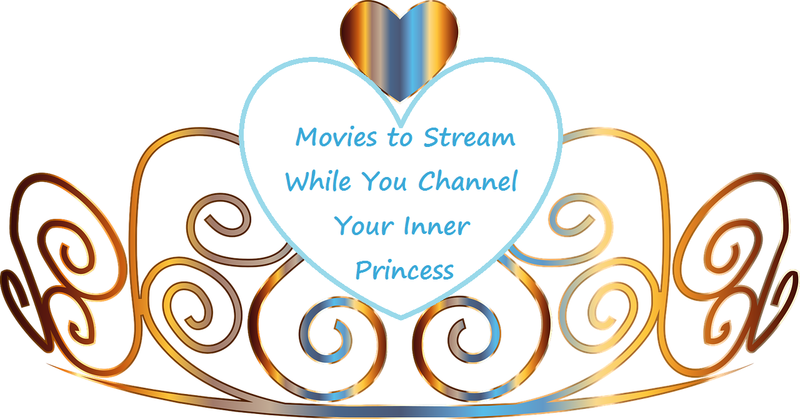 It's time to Channel Your Inner Princess! 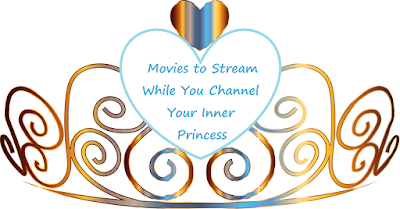 It's hump day and time for another What To Watch Post, and this one is all about Princesses. So find a cozy place in your palace to settle in for a knight (pun intended) of Princess Movies. Wishing everyone an enchanting movie knight. Yep, just me Cathy thinking out loud about Tiaras. Note: My What To Watch posts are not sponsored, nor do I receive compensation in any form for these. 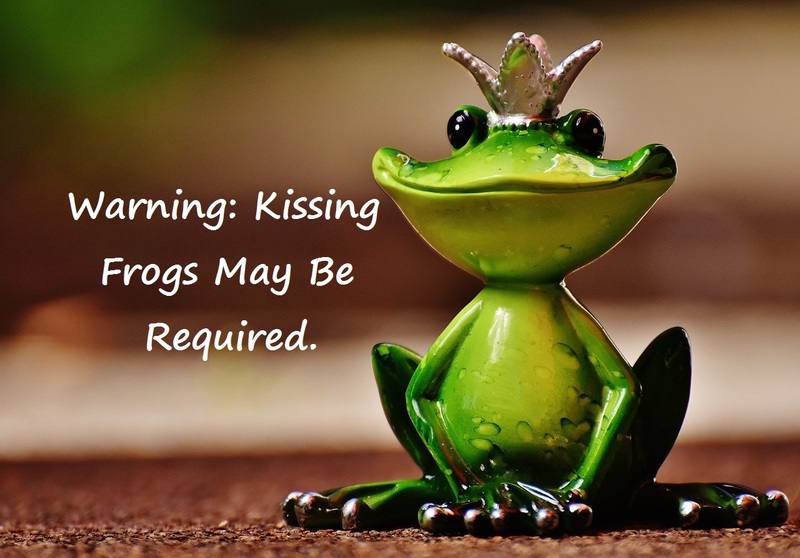 The purpose of these posts is merely to share something I believe interests my readers. Please also note, these posts are separate and unrelated to my participation with the Netflix Streamteam. Movies Images courtesy of Netflix. Other images courtesy of Pixabay. 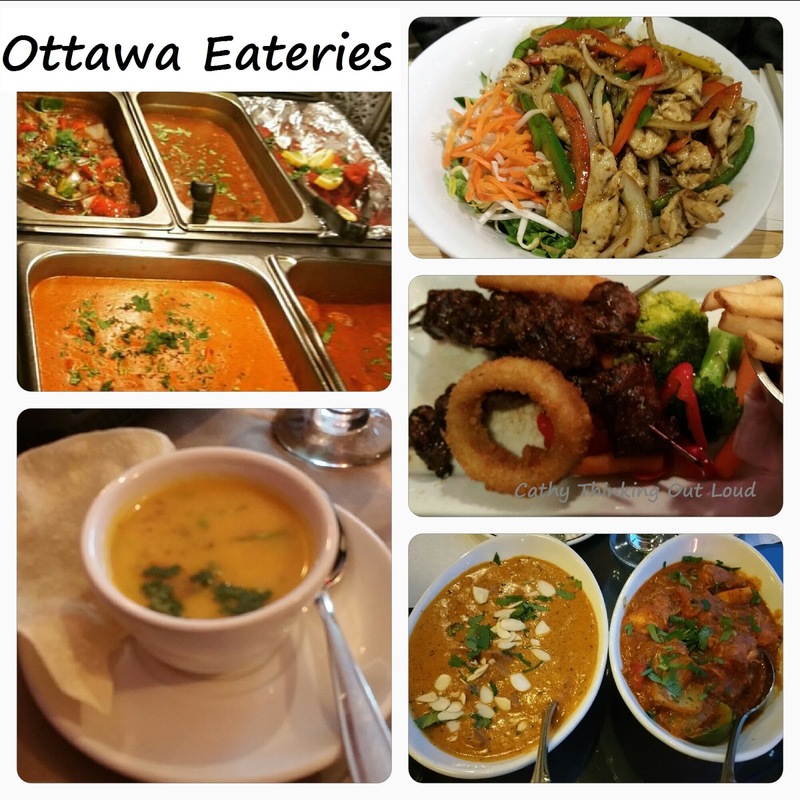 Add these Delicious Ottawa Restaurants to Your Must Try List. 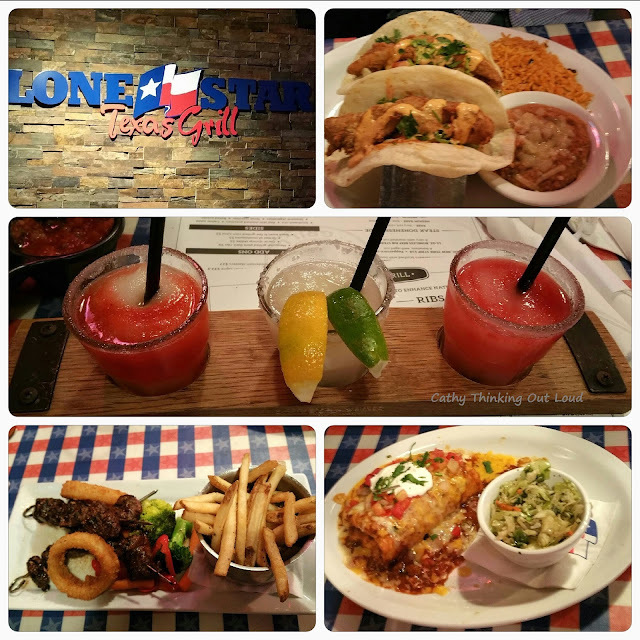 *With the exception of The Lone Star seating is limited so reservations are highly recommended. 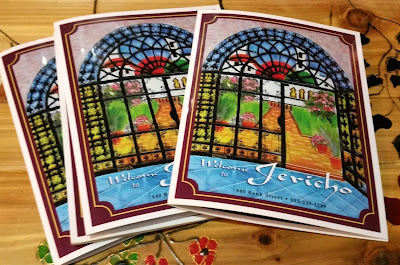 Note: These Restaurants have been listed in alphabetical order and not necessarily by preference, because let's face it ... that would be just too hard to do! 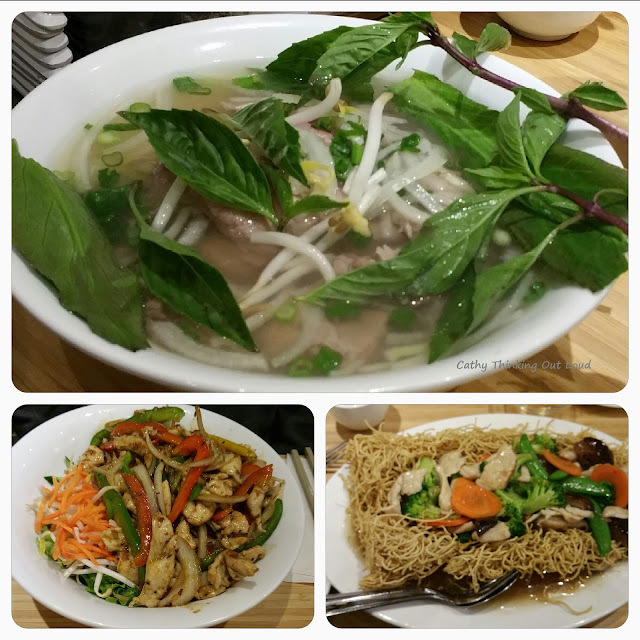 Baan Thai is a lovely little restaurant tucked away in the Centrepointe area. In the many years I have been going here I have never had a meal I haven't thoroughly enjoyed with service to match. My favourite is the Lunch Special which is served on a lazy-susan! The contrast of the sweet and spicy in the mango salad is particularly delicious! 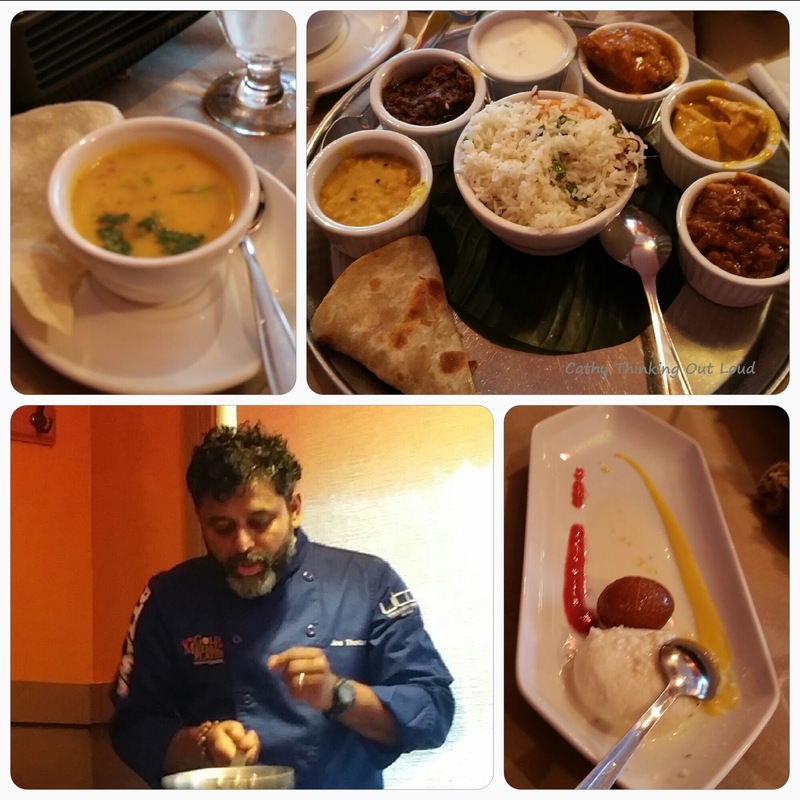 Even before I arrived I suspected my meal would be stellar, and award winning Chef Joe Thottungal and the staff at Coconut Lagoon didn't disappoint. You can't miss the passion Chef Joe puts into preparing his delicious dishes while sharing the inspiration behind each recipe. From appetizer to dessert Coconut Lagoon serves up delicious Indian cuisine that is sure to impress. FYI: Chef Joe is also featured in the Ottawa Cooks Recipe Book. I thoroughly enjoyed my Chicken Wrap House Special, and the several (okay many) bites from my friend's Falafel Plate that may have accidentally landed in my mouth when she wasn't looking ... oops ... accidents happen. The owner serves up some of the best Falafels in town. I found the owner-chef to be an engaging and wonderful host, and the decor and ceiling paintings unique and charming. Fajitas served family style. For years the Lone Star has been a family favourite for birthday celebrations. The ingredients are fresh and the staff friendly. Although there are several locations my favourite is still the original one located at Fisher & Baseline. The menu at Occo Kitchen is an eclectic mix of casual dining options such as Fish Tacos, Burgers and Fish & Chips paired with sauces made in-house. The Fish & Chips I had were definitely delicious but the Fish Tacos looked amazing! It was a hard decision. The food presentation was beautiful and the service excellent and the decor stylish. My go to meal choice at Ox Head is what I refer to as the bird's nest bowl aka as Stir Fried Egg Noodle with Chicken (Mi Xao Don Ga). Meals are served with green tea. The food tastes as good as it looks. You really can't go wrong with fresh ingredients and friendly service. 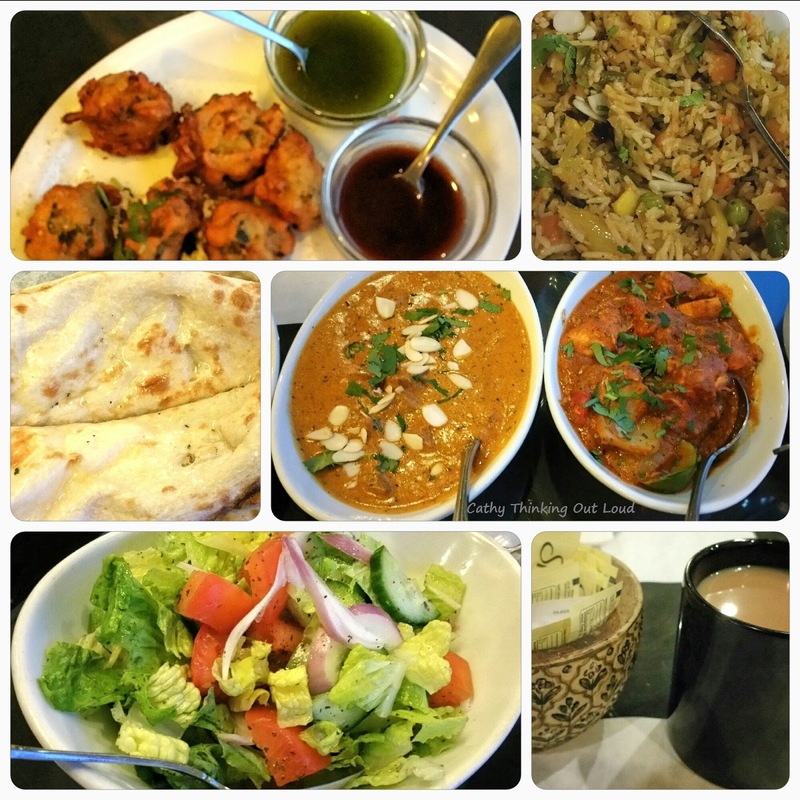 For almost 30 years Taj Indian Cuisine has been serving up delicious meals from recipes created by owner Indu Bakshi. I'm slowly working my way through the entire menu, having sampled to date Butter Chicken, Chicken Bhuna, Lamb Bhuna, Beef Curry, Tandoori Chicken, Vegetable Biryani, Paneer Pakoras, and copious amounts of naan bread. When you enter a restaurant for your second visit and are greeted by the owner by name ... well in my opinion service doesn't get better than that. Yep, just me Cathy thinking out loud about where to get delicious eats in Ottawa. Note: I was not compensated for this post. The purpose of this post is merely to share information I think is of interest or relevant to my readers. 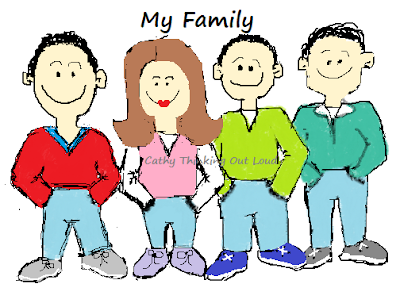 Families come in many shapes and sizes, and the dynamics within a family are often challenging and messy, as depicted in the shows and movies I've shared with you in this post. Seeing oneself reflected in movies and series that depict diversity in families is so important if we expect our kids to be accepting of themselves and of others. The nuclear family consisting of a married heterosexual couple with 2.5 children isn't the reality for a large part of the population. One type of family unit isn't better or worse, just different, and with these differences come unique experiences, relationship dynamics, laughter and challenges. Whether you're celebrating Family Day as an official holiday or not, in my opinion family in whatever shape it may be is something to be celebrated. Please Note: Although all of these are about families, and the relationships between family members, not all are family friendly. Wishing everyone a fun filled and fabulous Family Day! Don't be shy ... get social with Netflix on Twitter and follow the hashtag #Streamteam for all our adventures and insights. Happy Streaming! 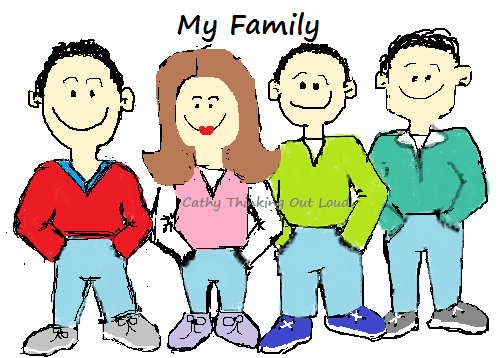 Yep, Just me Cathy thinking out loud about family. 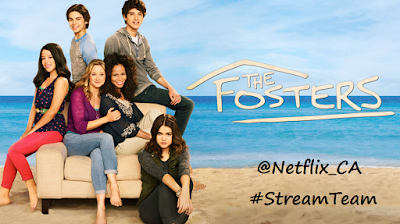 Disclosure: As a member of the Netflix Streamteam I receive special perks for my Streamteam participation. posts and sharing. All opinions are my own. 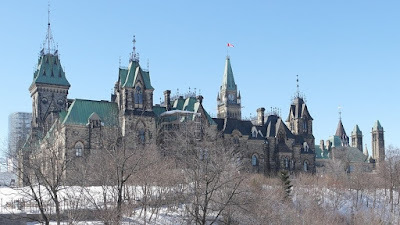 1) Tour the Parliament of Canada Buildings. 4) Skate on the Sens Rink of Dreams. 5) Go for a skate at Rideau Hall. 6) Go for a tour of the Royal Canadian Mint. 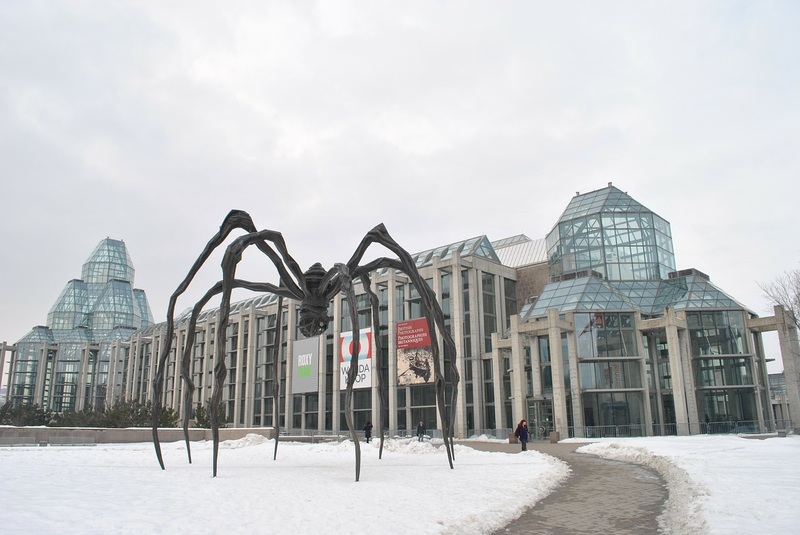 7) Visit the National Gallery of Canada. 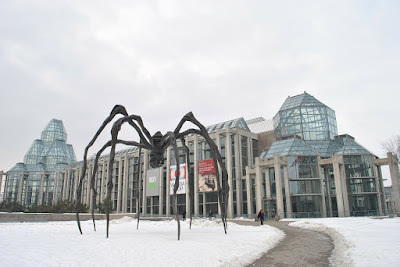 8) Visit a Museum: Canadian Museum of Nature, Canadian Museum of History, Canadian War Museum, Canadian Aviation and Space Museum, Canada Agriculture and Food Museum. 9) Shop, people watch and get yourself a Beaver Tail in the Byward Market. 10) Bundle up and check out one of the Toboggan Hills in the Ottawa area. 12) Try Indoor Rock Climbing: Altitude Gym - Clip N' Climb, Coyote Rock Gym, Vertical Reality. 13) Check out the best trails in and around Ottawa to hike, cross country ski or snow shoe. Including the National Capital Commission Trails, and Gatineau Park. 14) Go Animal Tracking on Snowshoes at Gatineau Park. 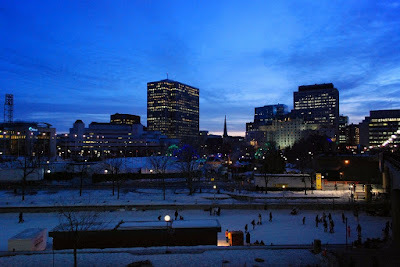 15) Did you know there are several places to go for a Sleigh Ride in Ottawa? 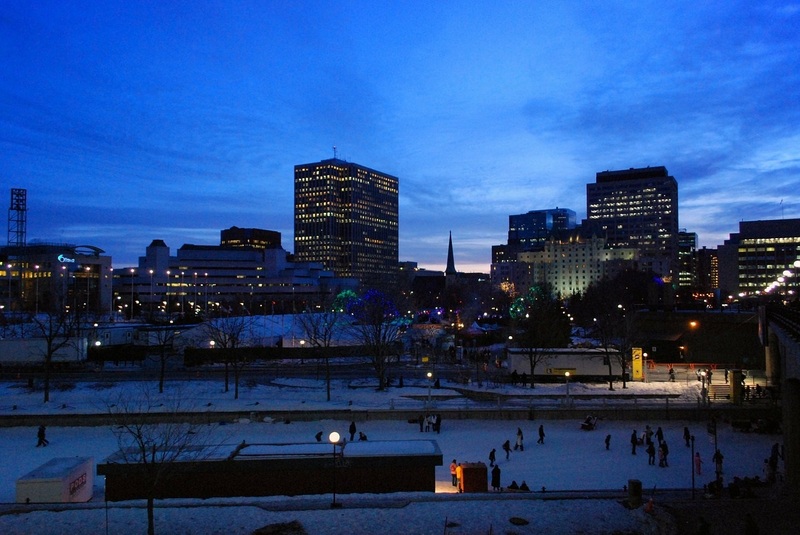 16) Learn to Ski, Snowboard or Go Tubing at one of the Ottawa area Ski Hills. 17) Visit one of the Ottawa area Sugar Bushes. 18) Go on one of the Dog Sledding adventures available in the Ottawa area. 19) Visit Parc Omega and then grab some lunch in Montebello. 20) Expand the families taste buds by having lunch at a restaurant that serves up a cuisine you haven't tried before, for example: Indian, Thai, Lebanese, Korean, Vietnamese, or Moroccan. Wishing everyone a fun filled fabulous Family Day! Yep, just me Cathy thinking out loud about Family Day 2017 in the Capital. Note: I was not compensated for this post. 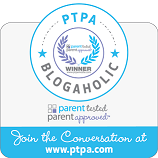 The purpose of this post is merely to share information and ideas I believe are relevant to my readers. All opinions are my own. What To Watch this Valentine's Day: 14 movies to stream that you'll LOVE! For the teens in your family 14 more all about the trials and tribulations of first love. 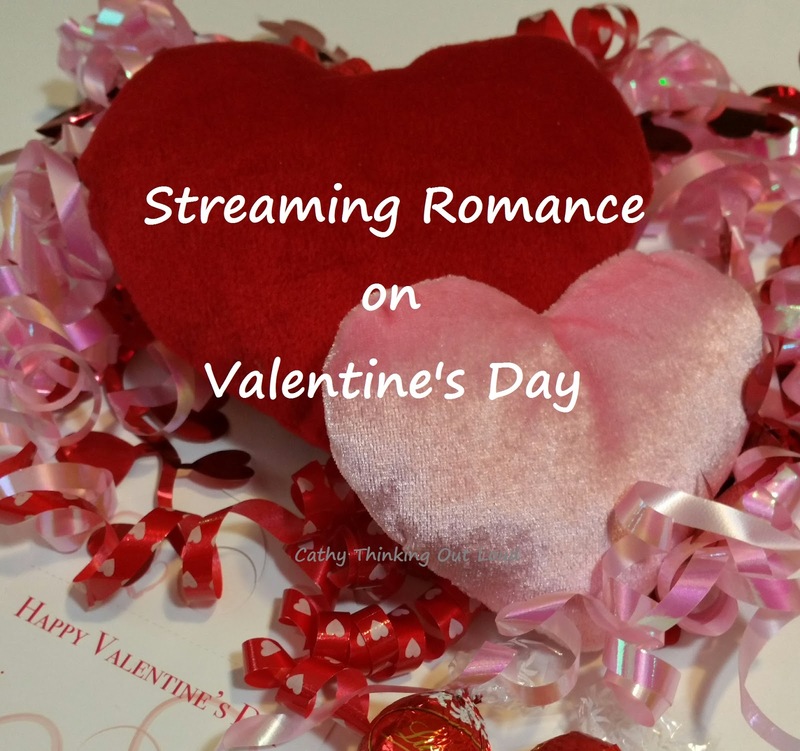 Yep, just me Cathy thinking out loud about What to Watch this Valentine's Day. Note: My What To Watch posts are not sponsored, nor do I receive compensation in any form for these. The purpose of these posts is merely to share something I believe interests my readers. Please also note, these posts are separate and unrelated to my participation with the Netflix Streamteam. Ten Words Beginning with the Letter "M" Commonly Misused, Confused or Misspelled. I'm back with another #GrowYourVocab post trying to clarify and demystify more words commonly misused, confused and misspelled. This post has been brought to you by the Letter "M". Main vs. Mane: (usage) Main refers to the chief or largest part, or the most important or principal part of something, where as Mane refers to a long growth of hair on mammals such as horses, or on people. Mall vs. Maul: (usage) Mall refers to "a large enclosed shopping complex, or a street lined with shops and closed to vehicles", where as Maul refers to a "type of hammer, a Rugby play, or to cause harm or treat roughly and injure or mutilate". Maritime: (spelling) Related to, or adjacent to the sea. 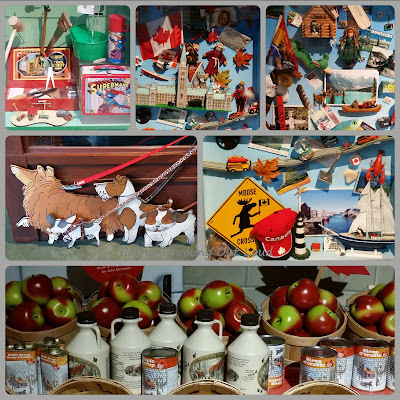 The term "The Maritimes" is used to refer specifically to Canada's eastern provinces as a collective or region. Maybe vs. May be: (usage) Maybe is "used to indicate uncertainty" possibly or perhaps. The rule seems to be if you can substitute perhaps then you use the single word maybe. May be is used to imply something is possible, could be or might be. If you can substitute could be then you use the the two words may be. Medieval: (spelling) It means "relating or belonging to the Middle Ages". Mischievous: (spelling) It's meaning is "causing mischief, playful in a naughty or teasing way". Misspelled vs. Misspelt: (spelling/usage) To spell incorrectly. Spelled and spelt are interchangeable and are both correct spellings, with spelled being the American and spelt the British form. American usage sometimes regularizes the past principle of irregular verbs (e.g., pled/pleaded, dreamt//dreamed, shone/shined). Momentary vs. Momentarily: (usage/meaning) Momentary means lasting for only a moment, or very brief" amount of time. Momentarily means "at any moment or very soon". Moot vs. Mute: (usage) Moot means of no practical importance, or to render (a subject or issue) irrelevant". It can also mean "to bring up (a subject or issue) for discussion or debate. Mute means "refraining from producing speech or vocal sound, or not giving out sound or speech; silent". More vs. Mores: (usage/meaning) More means "greater number, size, amount, extent or degree". Mores refers to "accepted traditional customs of a particular social group" and "the customs and conventions embodying the fundamental values of a group". "Moral attitudes, manners and ways". Be sure to check out the Grow Your Vocab posts brought to you by other letters. Yep, just me Cathy thinking about the Letter M.
Disclosure: I received no compensation for this post. The purpose of this post is merely to share with my readers information I think might be of interest to them. Sometimes finding the right words to tell someone you care can be tough. So to help you express yourself this Valentine's Day I have compiled a list of 14 alternatives to I Love You. 3) You're my dream come true. 4) You're my one and only. 7) You're my soul mate. 8) You're the light of my life. 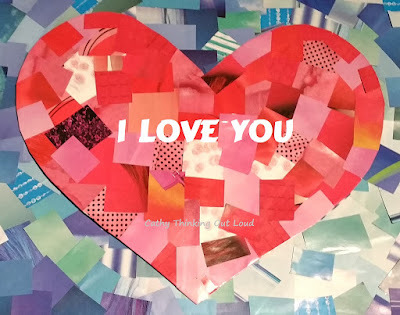 10) You fill my heart. 11) I only have eyes for you. 12) I'm all about you. 14) I'm crazy about you. Yep, just me Cathy thinking out loud about ways to say I Love You.